For about two years in the late 1950s, I had the pleasure of hanging out with pianist/vibist Victor Feldman and trombonist Frank Rosolino who were then regular members of bassist's Howard Rumsey’s Lighthouse Cafe All-Stars in Hermosa Beach, CA. 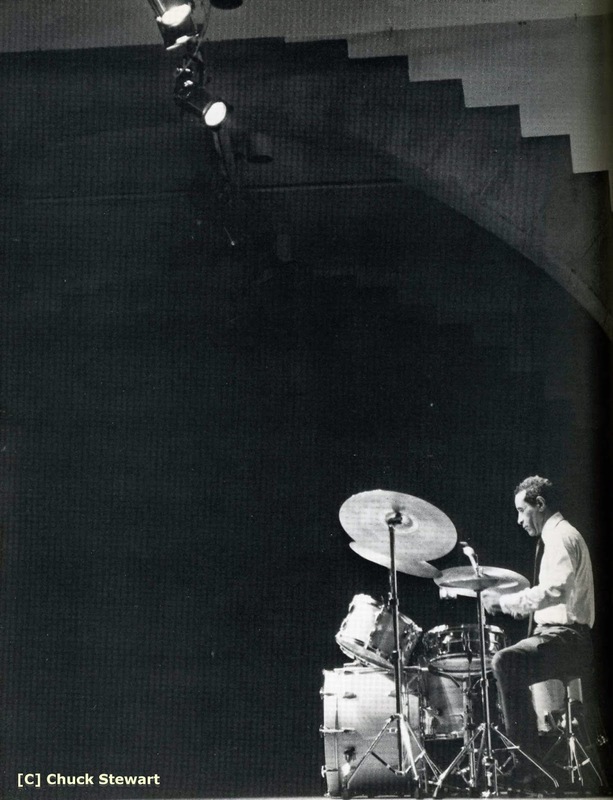 As to Victor's skills as a drummer, I soon found out that before he turned to vibes and piano, Victor had been a World Class drummer [think Buddy Rich - Yes, he was that fast]. The closing time for the club was 2:00 AM, but on weekdays, most of the patrons were gone by midnight. 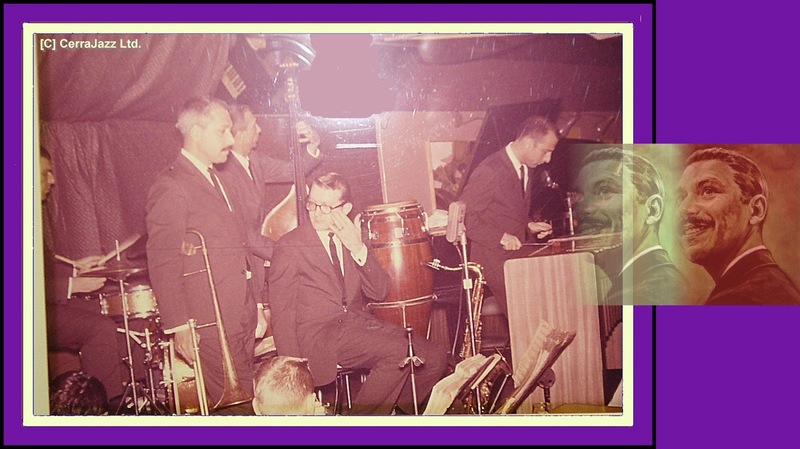 At the witching hour, the musicians sometimes congregated in the back of the club to relax, have a smoke and conduct Jazz 101 with aspiring, young musicians before playing a last set. Often, Jazz 101 consisted of war stories and one night while I was sitting in the back of the club with Victor and Frank Rosolino, Victor told a heart-breaking tale of the “lost tapes” he had made a few years earlier with a rhythm section of Hank Jones on piano, Bill Crow on bass and Kenny Clark and Joe Morello on drums [they split the two, recording sessions]. Before leaving Woody Herman’s Big Band and settling in with Howard Rumsey’s Lighthouse All-Stars for a three year stint beginning in 1957, Victor had made a prior arrangement to record an album for Keynote Records and set about making arrangements for the date. 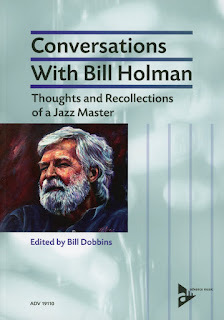 Bassist Bill Crow tells the tale of this ill-fated Feldman, Keystone recording session in his book From Birdland to Broadway [New York: Oxford University Press, 1992, pp. 119-120]. “One night [in 1955] a young man sat at the Hickory House bar listening and smiling as we played [the Marian McPartland Trio featuring Bill Crow on bass and Joe Morello on drums]. When our set was finished, he introduced himself as Victor Feldman. The talented English vibraphonist had just arrived in New York, and had come to meet Marian. He said he liked the way Joe and I played together. ‘I’m doing an album for Keynote,’ Victor told us, ‘and I’d like you guys to do it with me. I’ve already sort of promised it to Kenny Clarke, so I’ll have him do the first date and Joe the second. I’ve got Hank Jones on piano. Both dates went beautifully. Victor had written some attractive tunes, and he and Hank hit it off together right away. We couldn’t have felt more comfortable if we’d been playing together for years. 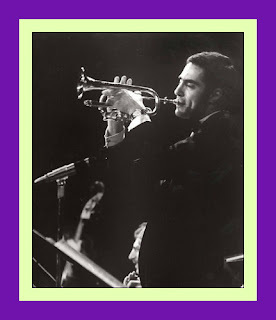 Victor was glad to have the recording finished before he left town to join Woody Herman’s band. The next time I ran into Vic, he told a sad story. The producer at Keynote had decided to delay releasing the album, hoping Victor would become famous with Woody. But the next Keystone project ran over budget, and when he needed to raise some cash, the producer sold Victor’s master tapes to Teddy Reig at Roost Records. Vic came back to New York, discovered what happened, and called Reig to find out when he planned to release the album. ‘Just as soon as Keystone sends me the tape,’ said Reig. Vic called Keystone to ask when this would take place, and was told the tape had already been sent. A search of both record companies offices failed to locate the tape, and as far as I know it was never found. It may still be lying in a storeroom somewhere, or it may have been destroyed. The recording session that Frank was referring to occurred on December 22, 1958 and while the outcome was not as irrevocable as was the case with the never-found tapes of Victor’s Keystone tapes, it DID happen that the Rosolino tapes were also, never released, at least, not until almost thirty years later [Frank died in 1978]. 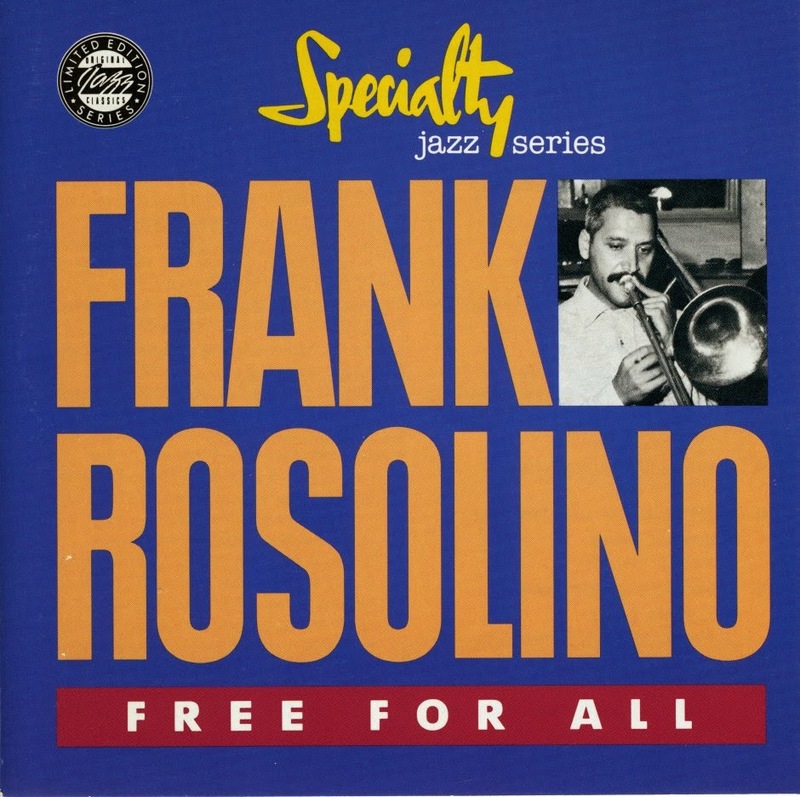 In 1987, Fantasy acquired the tapes from the December 22, 1958 Rosolino session and finally released them on LP as Frank Rosolino: Free For All [SP-2161]. The date was also released on CD in 1991 [Specialty Jazz Series OJCCD 1763-2]. Leonard Feather explains the story this was in his insert notes to the CD. “Surprises of the kind represented by this album are as rare as they are welcome. The appearance of a hitherto undocumented album by Frank Rosolino makes a valuable addition to the discographical annals of an artist whose memory is cherished by admirers around the world. 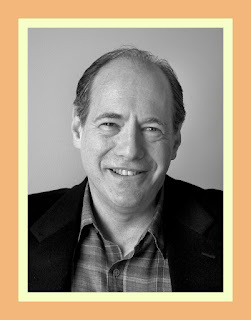 His career seemed, on the surface, to have been reasonably successful. 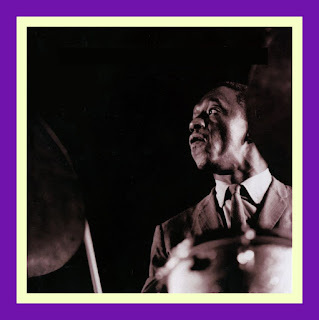 Born in Detroit in 1926, he came up through the big band ranks, playing with Gene Krupa, Bob Chester, Herbie Fields and Georgie Auld, then leading his own group in Detroit before joining Stan Kenton in 1952. 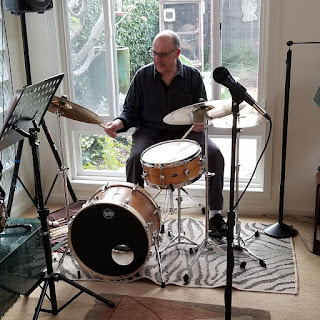 Two years later, he settled in Southern California and became, for several years, a regular in Howard Rumsey's Lighthouse All Stars in Hermosa Beach. His free-wheeling, extrovert style did not conform to the then prevalent image of West Coast jazz as tightly organized, laid back and somewhat derivative. Frank made his recording debut as a leader with a 1952 session for the short lived Dee Gee label. There were other dates for Capitol, Bethlehem and Mode, but by the mid-1960s the only available Rosolino album was a Reprise set that featured him mainly as a comedy singer. The existence of the present volume was unknown except to those who had taken part in it — and, particularly, the man who produced it, David Axelrod. "Frank and I were excited about this album," Axelrod recalls, "because it was going to be the first hard bop album recorded and released on the West Coast. We wanted to get away from that bland, stereotyped West Coast image. We worked for weeks on planning the personnel and the songs. The results were terrific. It was a great disappointment to us both that the record, for reasons we never understood, wasn't released." Rosolino confirmed this view in a letter he sent to Specialty some nine months after the session. "I feel it's the best album I have ever recorded; everyone who was on the date feels the same. I've played the dub for numerous musicians and they all think it's just great." Harold Land, whose tenor sax shared the front line with Frank's trombone, was already well established as a proponent of the more vigorous California sound; he had toured with the Max Roach-Clifford Brown Quintet in 1954-5 and went on to lead various combos in addition to working, off and on ever since 1955, in the Gerald Wilson Orchestra. Victor Feldman, who had arrived from England in 1955 and settled in Los Angeles after touring with Woody Herman, has worked for many years in studios, often playing mainly percussion and vibes, but his jazz reputation (primarily on piano) is a formidable one. Two years after these sides were made he joined Cannonball Adderley; in 1963 he recorded and gigged with Miles Davis. 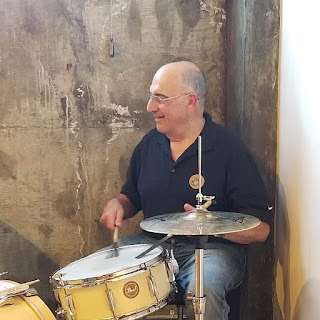 Stan Levey, one of the foremost bebop drummers of the 1940's, played with everyone from Dizzy and Bird to Herman and Kenton, then joined the Rumsey group at the Lighthouse. By 1972, tired of boring studio jobs, he gave up playing in order to concentrate on his growing success as a commercial photographer. Leroy Vinnegar, born in Indianapolis, settled in Los Angeles in 1954 and has worked with innumerable groups led by Stan Getz, Shelly Manne, Jimmy Smith, Shorty Rogers, Buddy Collette, and the Crusaders. Typical of Frank Rosolino's ingenuity is the opening cut; he tackled Love for Sale in 6/4, moving into a fast 4/4 for the bridge. His own solo and Land's establish immediately that this is a tough, no-holds-barred blowing session. Twilight is a beguilingly pensive example of Victor Feldman's talent as a composer. There is no improvisation here until the solo by Land, who also plays under Frank's eloquent excursion. Frank deals with the melody, while Harold offers appropriate fills on Henry Nemo's Don't Take Your Love From Me. Note the easy moderate beat sustained behind Frank's solo, the typically inventive Land outing, and Feldman's evolution from single note lines to chords. Chrisdee, an original by Stan Levey, was named for his sons Chris and Dee and is a bebop line based on a cycle of fifths, with a somewhat Monkish bridge. After Frank and Harold have adroitly negotiated the changes, there is a series of fours, with Leroy walking a passage and Stan in a couple of brief solo statements. Stardust is Rosolino throughout, a masterful example of his approach to a well-worn standard into which he breathes new life. The verse is played slowly, the tempo picks up a bit for the chorus, and the beat is later doubled, with Frank's sinuous lines growing busier before he closes it out on the dominant. Frank composed Free Fall the album's title tune as a funky blues theme that offers 24 bars to Leroy, four choruses (48 bars) to Frank, three to Harold and two to Victor before the theme returns, ending with a suddenness that was typical of the hard bop era. Frank worked out the routine on There is No Greater Love, an Isham Jones standard that dates back to 1936 and is as much in use as ever at jam sessions a half century after its debut. The unison horns kick it off at a bright pace,- after Harold's and Frank's solos, Victor gets into a single-note bop bag. Finally, Frank's own Sneakyoso provides the quintet with an ingenious vehicle, its attractive changes providing good opportunities for Frank to work out. Note the fine comping Victor furnishes for Harold Land before taking over for his own solo. The two horns engage in an exchange with Stan Levey before the head returns. All in all, this is a superior, even superlative example of the genre of music it represents. Frank was right to be so proud of it. Talking to Stan Levey while preparing these notes, I was not surprised when he remarked: "I never heard anyone else quite like Frank. He put into his music much more than he ever achieved out of it. I remember this session well, and I'm happy it's being made available." Sadly, Frank did not survive to see its release. … [He died under tragic circumstances] in November of 1978 ….. 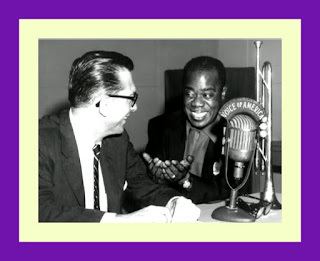 The following video features Frank, Harold, Victor, Leroy and Stan on Chrisdee. Great story Steve. Thank you.